12″ x 19″ pastel painting available in giclee print and greeting cards. Alelele Falls is a hidden gem on the backside of Maui headed toward Hana. Off the beaten path and not all that well known, it’s a serene place to cool off in the waterfall. 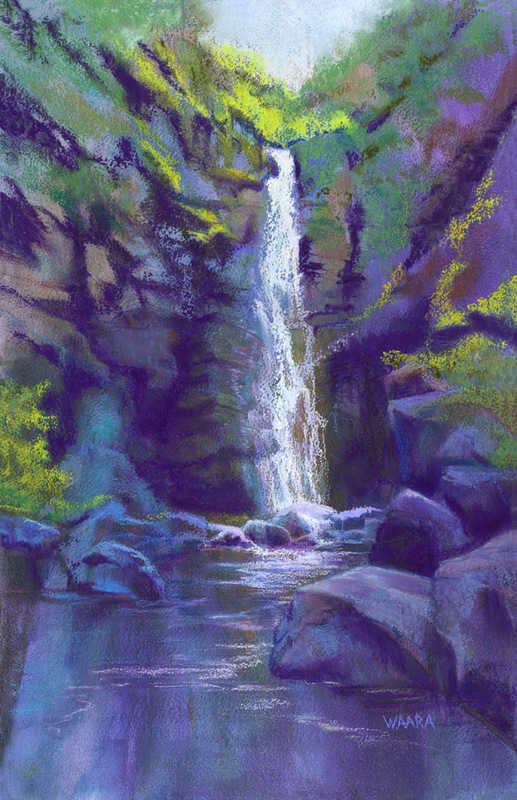 I used a cool color palette to depict the refreshing feel of the water. Such a relief on a hot, sticky day in the rain forest.